it´s here, episode #5 of my new podcast series. I am deeply committed to present you different people each week. People that are well-known as well as those from next doors. People that make a big difference in their world. 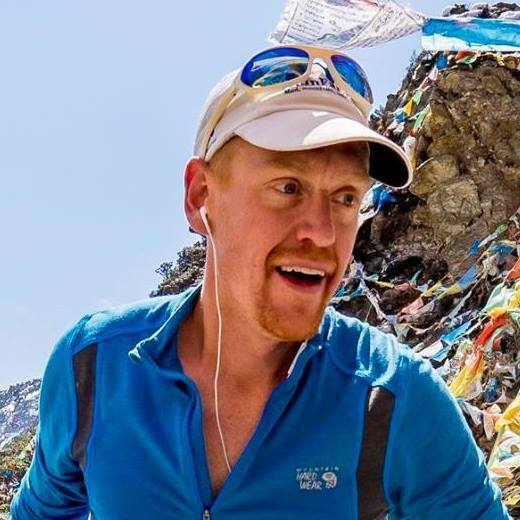 He´s a writer, author of two books, competitive ultra marathoner with over 65 races under his belt with the 400 kilometre Gobi Ultra Trail Race being one of his greatest achievements and founder of the highly popular online platform irunfar the world´s biggest and most respected ultra running community to this day. It´s a conversation about patience and persistence, ongoing motivation, focusing on the bigger vision and how to deal with obstacles on the path. Full of surprises („I never had a plan“), laughter, humour, warm-heartedness and generosity getting down to the core why he wouldn´t stop to continue what he does, Bryon explains what impact his work continues to have on his life, his community and the relationship with his partner and accomplished ultra runner Meghan Hicks. He openly talks about the defining moments of being on the verge of quitting and what can keep you going during the tough times. He´s super uncomplicated, funny, open and relaxed offering a relaxed approach to nutrition (another surprise). An example of somebody who´s not chasing for the big bucks and looking for his own benefit but serving his greater purpose. No doubt, he´s achieved this over the almost last decade. I´m delighted and super grateful that Bryon took two hours of his time before he signed off to head out for a 50 k training run. That´s right. Things shift when you begin to crave running longer distances and 50 k becomes an easy thing to tackle. Please enjoy the conversation and share what you took away from it! Find Bryon on Facebook, Twitter and Instagram. Visit his website irunfar. For athletes profiles, go here.